in other parts of the world, parents are demanding justice for children snatched from them and sent for adoption abroad. 7) Indian family demands Australian authorities return adopted girl. 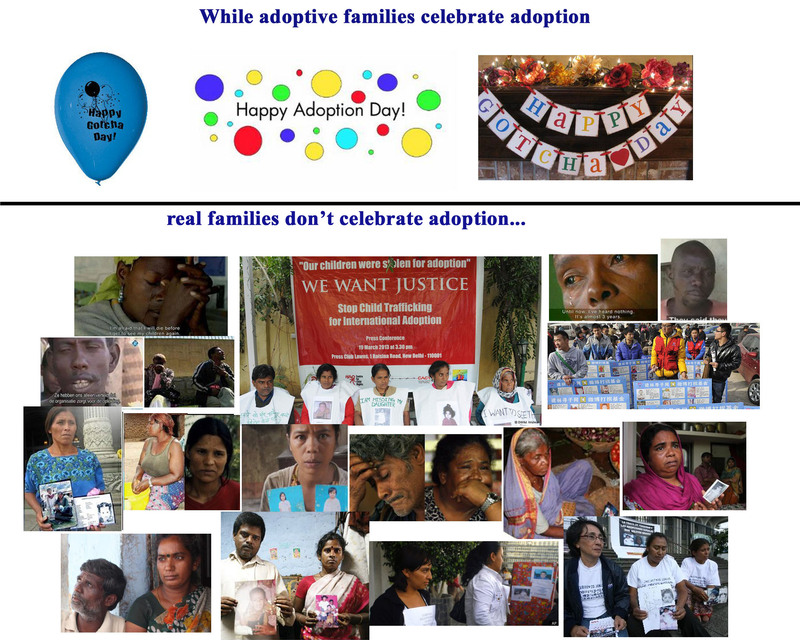 in other parts of the world, families are ripped apart by international adoption. 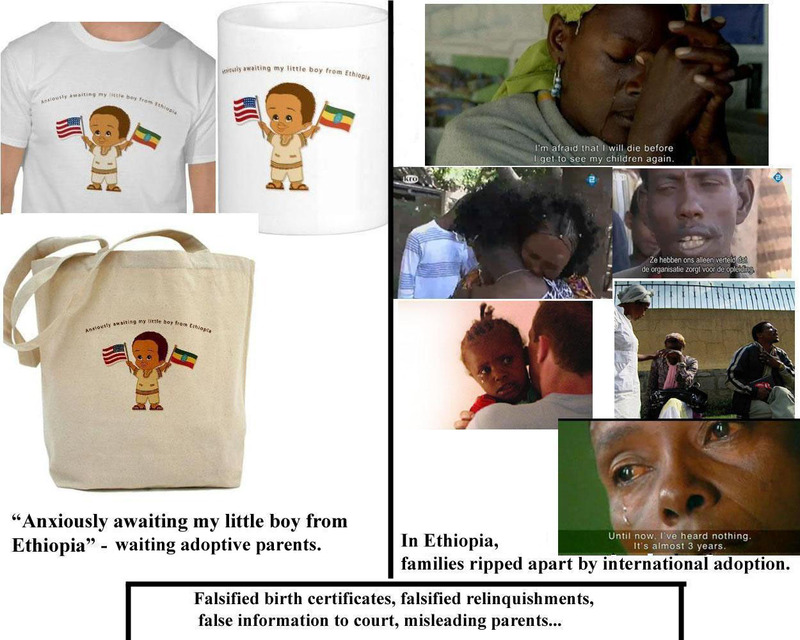 Must-watch documentaries about Ethiopian adoptions which show that adoption agencies have the goal to give/sell children to Western families. in other parts of the world, parents are desparately searching for their missing children. “Parents’ desperate searches for their missing kids have cost them their marriages, jobs and savings.” From USA Today. “In three years, nearly 1,000 children were purchased by these six orphanages, which then adopted the children out to domestic and foreign families for a profit. The influx of foreign applications to adopt Chinese kids is, in many cases, making it more difficult for Chinese couples who can’t have children to adopt from orphanages here.At the orphanage in Changde, the gatekeeper said that foreign families usually spend five to 10 times more on adoptions than Chinese families, which often makes foreign families more attractive. 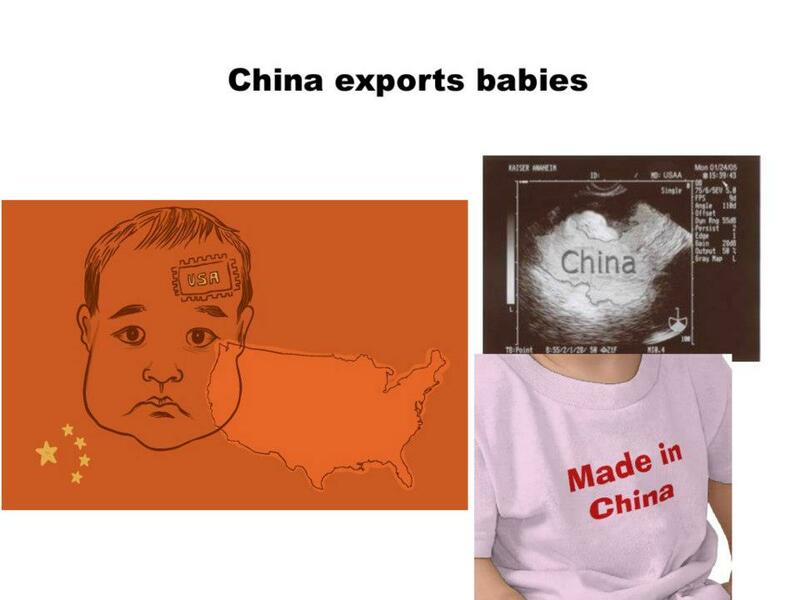 That leads to long wait times for Chinese couples, many of whom resort to the other option, an underground market for infants.” From ABC News. 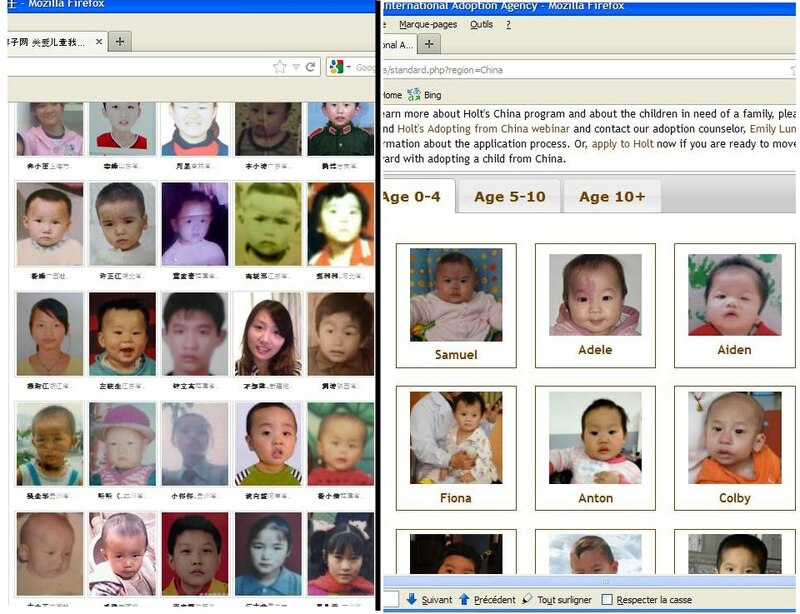 Picture on the left: China’s missing children website http://www.baobeihuijia.com/ Baobei Huijia (Baby Back Home) is a Jilin-based voluntary group in Northeast China that helps search for missing children and offers support to parents across China. 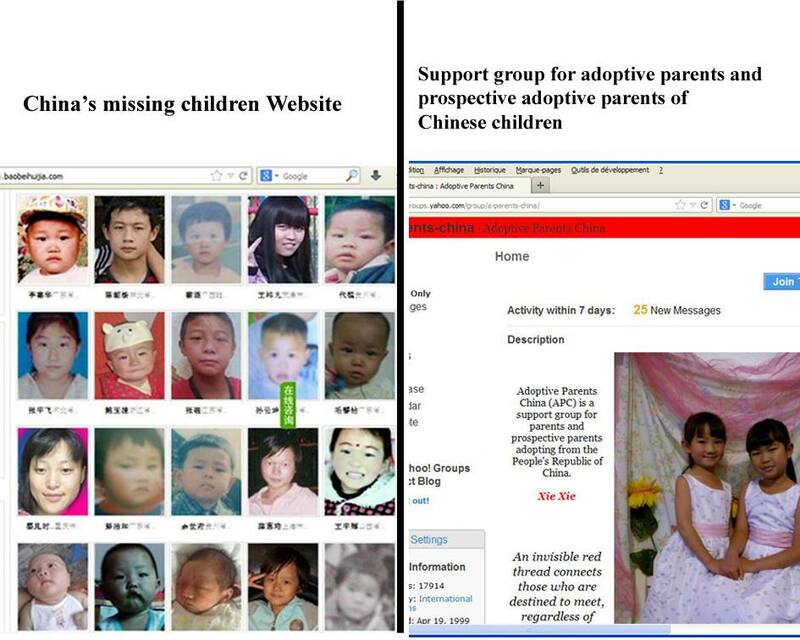 On the right: one of many international adoption agencies photolisting Chinese children. “Child-welfare advocates working in China say some kidnappings are the result of the increasing prices paid for adoptions by foreigners. Abducted kids often end up in orphanages, even though they aren’t orphans at all. Paperwork is forged. Identities are erased. The orphanage takes its cut. It was revealed in 2005 that government officials and orphanage employees in Hunan Province “had sold at least 100 children to other orphanages, which provided them to foreign adoptive parents,” ” From The New York Times. 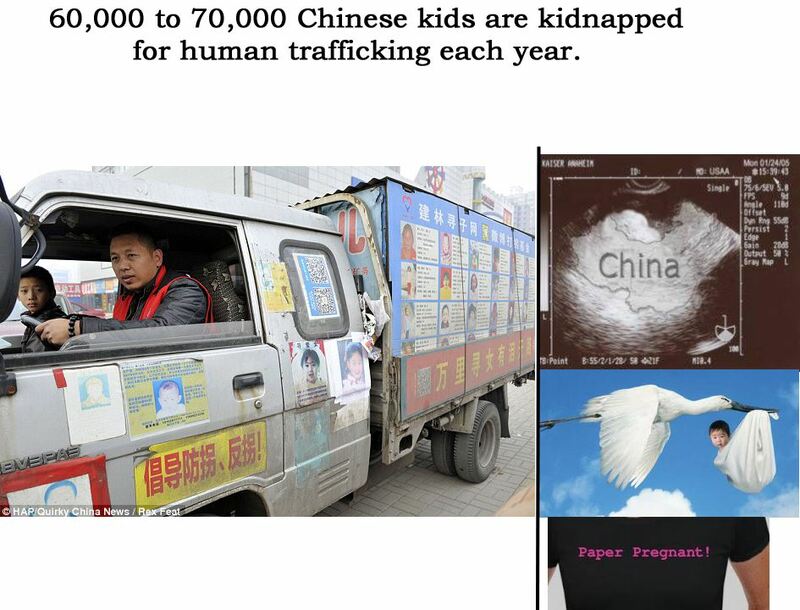 “As many as 70,000 Chinese kids may get kidnapped each year. Parents, who often have nowhere to turn to for help, are taking matters into their own hands. Since at least the 1980s, kidnapping and human trafficking have become a problem in China, and most often, the victims are children. (…) The vast majority of kidnapped children will never see their families again. 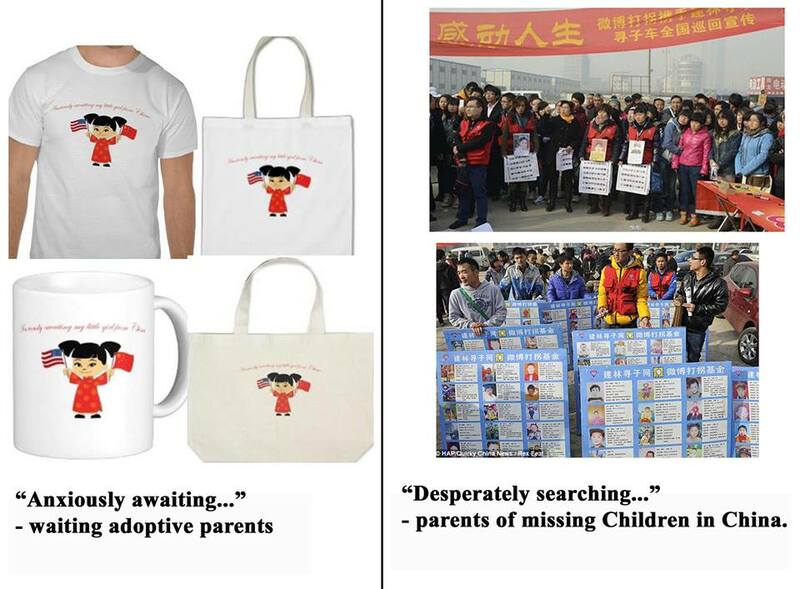 In China, kids are abducted not for ransom but for sale. Often, they come from poor and rural families — the families least likely to be capable of tracking their kids down or fighting back. Some children are then sold to new “adoptive” families looking for children. Others are sold into slave labor, prostitution, or a life on the streets. In some cases, healthy children are brutally crippled by handlers on the theory that a child with broken legs or horrific boils looks sadder and can earn more money begging on the street. 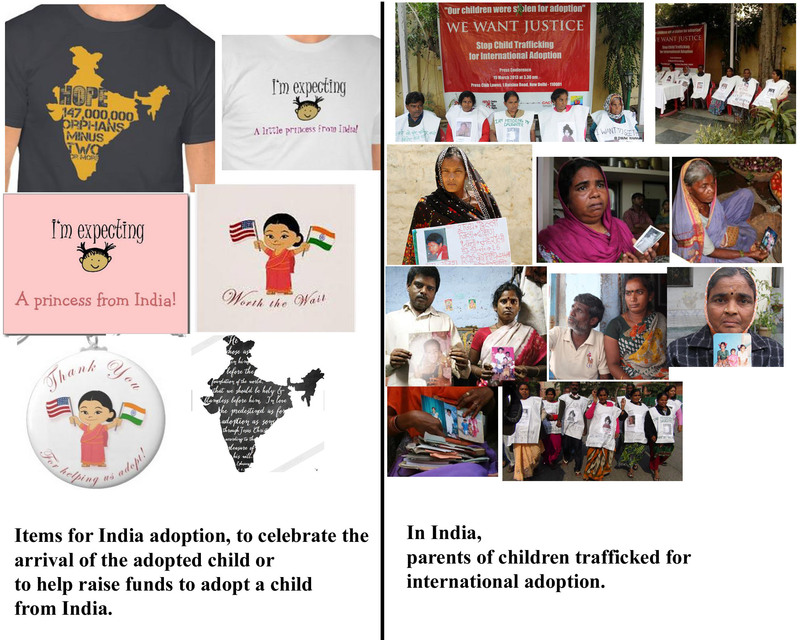 Some children are even sold into adoption overseas. Chinese adoption agencies seeking the substantial donations foreign parents make when they adopt — in some cases, as much as $5,000 — have been known to purchase children from human traffickers, though these cases appear to be relatively rare.” From Foreign policy. 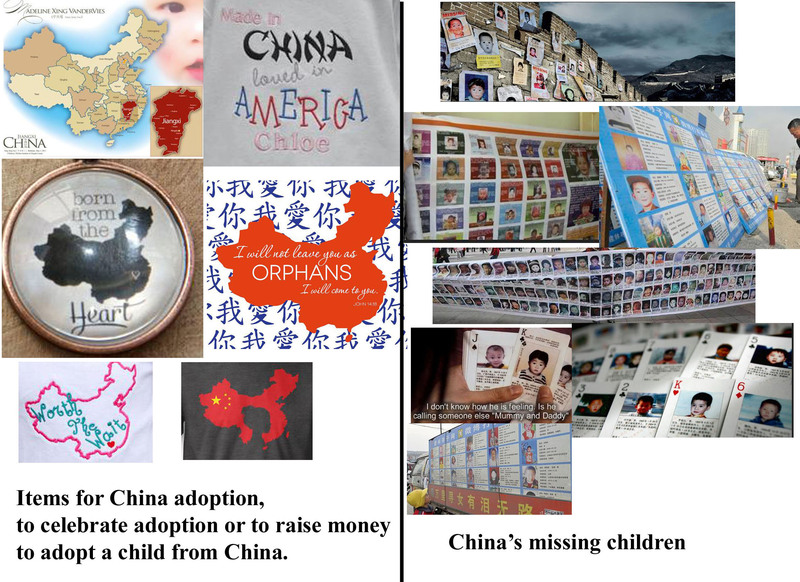 “In 2006, 10,000 children were adopted from China, with 7,000 going to the United States. Adoptive parents usually pay around $15,000 to $20,000 to adopt a child. The big challenge for organisations is to know if adopted children were kidnapped or not. For some parents, it raised a nightmarish question: What if my child had been taken forcibly from their parents?” From UNRIC. “10 months after born, Yang Ling was taken away by officials from local one child policy office. The reason was that the family didn’t pay “social raising fee”. Yang had never saw his daughter again. One day in 2009, Yang and his wife Cao Zhimei was shown a photo of a little girl. Yang knew the moment he looked at the photo that this is his daughter. The photo was taken in the US. Yang’s baby girl is now some American parents’ sweet heart.” From China Hush. “local officials offered dozens of children up for adoption to foreigners after the biological parents failed to pay fines for violating China’s one-child policy. ” From World Cruch.